Get your tickets NOW! The Good Lookers will kick off the night from 7:30 - 9:30 and Blue Ramble will finish off the dance from 9:30 - 11:30. Bring your favorite drinks and snacks and enjoy the best Saturday night so far this year! 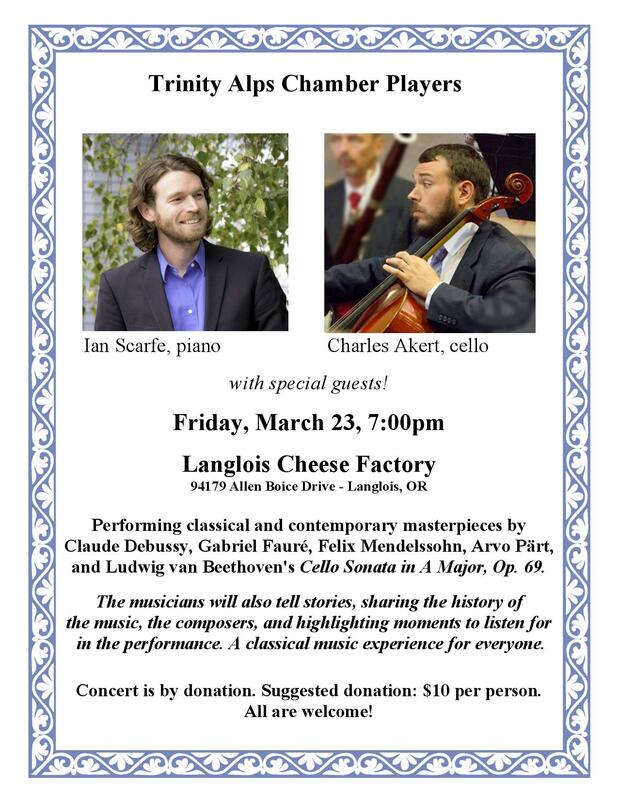 Tickets will be available for purchase at the Langlois Store for $10 starting April 28th. Hope you can join me Sunday April 8 at 3PM to celebrate The Master's 333rd birthday and honor Donna Roselius, who has been such a huge encourager of art and live music on the South Coast. We're expecting that JSB himself will be in attendance to give Donna her special award! 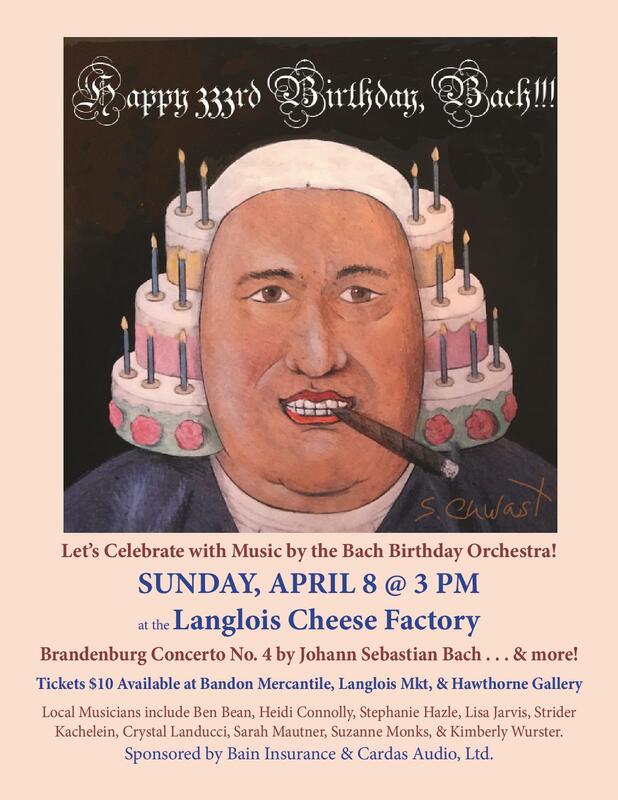 Rumor has it that Little Wolfgang Mozart will also attend. Intermission pastries by Bandon Coffee Café.